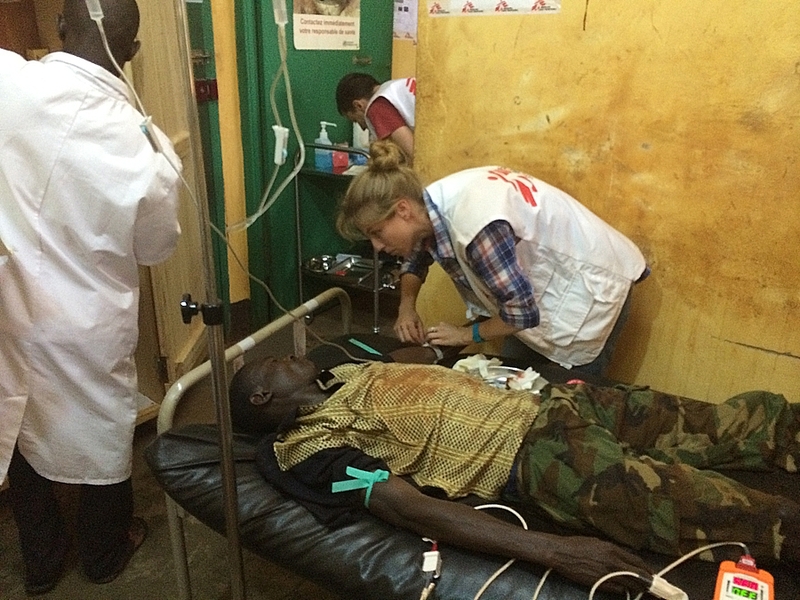 Miriam Kasztura, a nurse from Switzerland, has just returned from Berberati in Central African Republic (CAR). 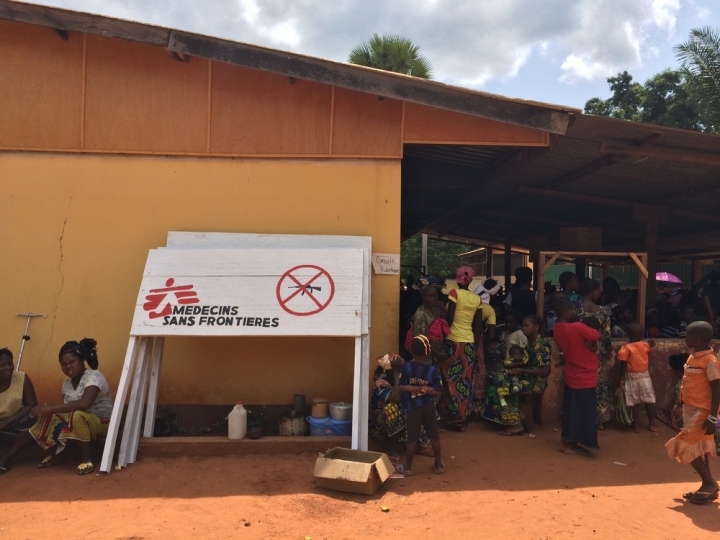 Since January, MSF has been working in the Regional University Hospital of Berberati running activities in the emergency, maternity, paediatric and surgical wards, as well as providing support to several outlying health centres. Berberati, CAR’s second largest city, is located in the southwest of the country around 120km from the border with Cameroon. As in many parts of CAR over the last months, it has been the scene of violence and abuses against the civilian population. Although the security environment has eased somewhat in the last few weeks, the situation remains extremely volatile and the health needs enormous. Here, Kasztura recounts her experience. “I arrived in Berberati in the middle of February. At the time, in our paediatric intensive care unit, we were seeing a lot of severely sick children. I had never seen anything like it before, the severity of the illness was shocking. Most of the kids were suffering from malaria, and many were anaemic or had respiratory infections. We lost many of the children. Because of the fighting, they were unable to get to the hospital, and so when they finally got there they were too sick for us to save. Sometimes all that was left to do was to confirm the death of a child. There were so many, that we did not even have time to think about it, we just had to continue treating the next one. This was very hard to come to terms with. We saw up to 200 children per day in our outpatient department, and the vast majority – 80-90% - had malaria. In our inpatient department, between 50-60% of admissions were for malaria. We are currently in the first malaria peak of the year that takes place between April and June so we can expect even more cases. The disease is the leading cause of death in the country. We have prepared for this peak and we are now supporting the outlying health centres so we can treat patients earlier, when it is easier to cure. We also received several wounded. There were a range of injuries caused by machetes, grenades, rifles and even bows and arrows. The conflict did not discriminate and we would see combatants and civilians in our wards. A lot of the patients had terrible open splinter fractures, and some had been shot in the legs, rendering them completely immobilised. We had to do a lot of amputations, especially from machete and gunshot injuries, or infected wounds. It was devastating to see people, men as young as 20, permanently disabled. This is happening in so many places throughout the country. We are going to see half a generation living with these disabilities. Children have not been spared from this violence. One day, we heard a blast outside the hospital. Minutes later, a man ran into the emergency room with a ten-year-old child in his arms. Blood was everywhere, it was a horrifying scene. The boy had been playing with another child in the street who had picked up an unexploded grenade. Sadly, the other child died instantly. The boy in our emergency room had a towel wrapped around his head, covered in blood. I was expecting to see half of his face ripped off. But he was one of the lucky ones and instead I saw a beautiful little boy opening his eyes to say hello. He was the strongest child I had ever seen. His leg was not in good shape and he was full of shrapnel, but he survived. After five weeks of treatment in the hospital, he was able to walk again. This was the most tense security context I have ever been in. Even though I have worked in places with aerial bombing, seeing people running around with guns was confronting. There were situations of calm, but it was false calm. It is difficult to comprehend such extreme levels of violence, how a whole part of the population has been tortured and slaughtered, essentially wiped out. Thousands have had to flee due to the violence. A former Muslim neighbourhood for example, is now completely empty. And while security has improved in the town itself, people tell us that they are too afraid to return. There are many who are still hiding in the bush in fear for their lives. For the refugees who have fled the country, and for the people displaced still in CAR, there is no way back. Quite apart from the violence, there are so many basic health needs in this country that are not being met. The health system is barely functional, people have to pay, and the quality of care, if it even exists, is extremely poor. There is therefore a lack of trust in medical care, and many people rely on traditional remedies which frequently have deadly consequences. Often, people seek medical care as a last option and it is sadly too late. As the security situation in Berberati improves, thankfully we are seeing more and more people access our services at the hospital. But we cannot be too complacent – this country is so volatile, and even though it is calm now, this could change at any moment. This was one of the hardest situations I have ever worked in due to the violence, but also the extreme health needs of the population. The intensity of it all was overwhelming.